This package is to control the MELFA's robot arms using ROS. 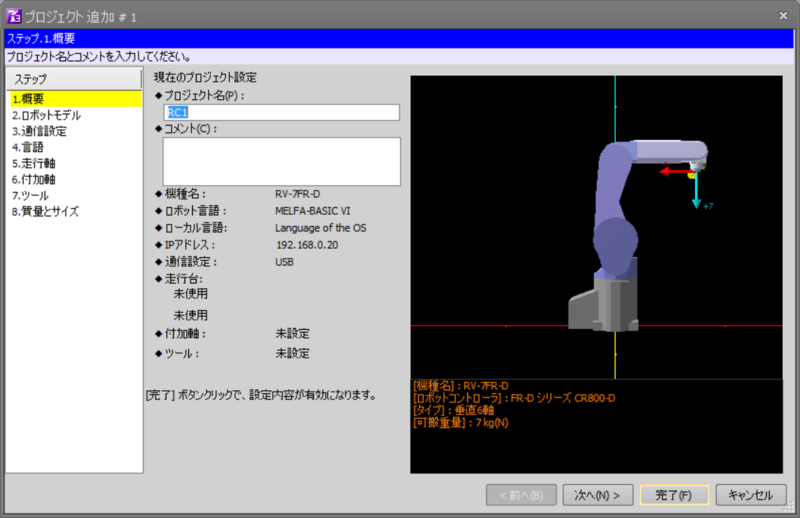 Currently melfa_driver is checked with the following MELFA robot controller. 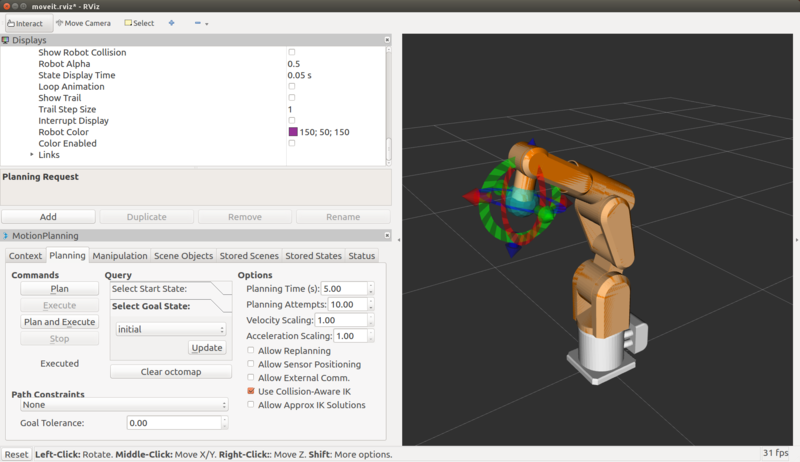 Currently melfa_description contains the models of following MELFA robots. Use apt to install the packages. melfa_driver/melfa_driver_node is the controller node, providing hardware_interface::RobotHW. This controller communicates with the actual robot controller, or the simulator named RT Toolbox3 on Windows via Ethernet(TCP/IP). In case that you don't have both of the controller and simulator, the package contains the loop-back(dummy) node mimicking the robot controller. It is melfa_driver/melfa_loopback_node. This node set the current joint angle identical to commanded value, and return them as current state. Go to the section to check it works. 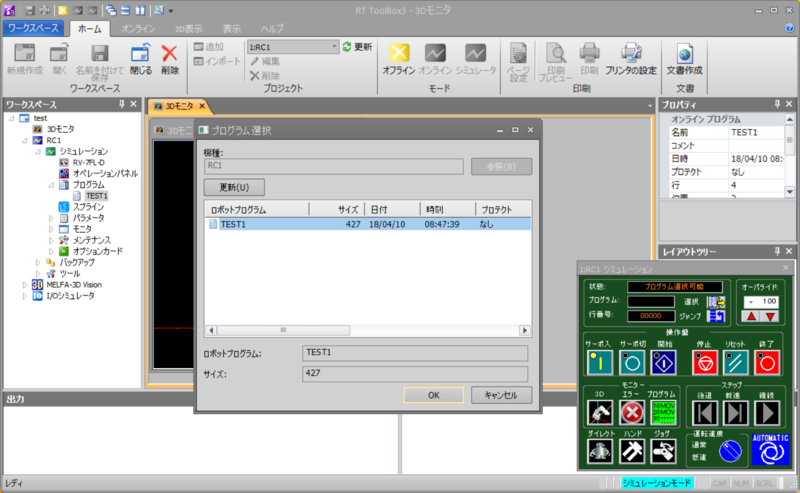 If you have RT ToolBox 3, the optional software of MELFA robot, you can use this package with it in the simulation mode. You have to place your ROS PC and RT ToolBox3 (Windows) PC in the same network. By pressing New button to create a new project file. In the following wizard screen, push Next. In 2. Robot Model, choose your robot. In this case, we choose FD Series CR750-D and RV-7FL-D. Push Next button. In 3. Communication, enter the IP address and gateway address of the Windows PC. Just using Copy the setting of this machine will work. In this example, 192.168.0.23 is the address of the Windows PC. 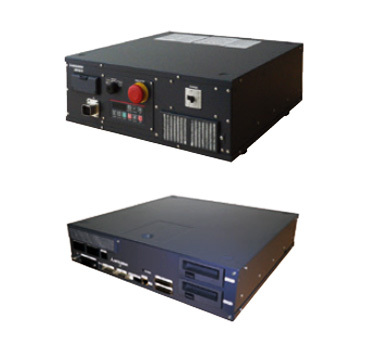 The ROS package expects the controller is running in Real time external control mode, which receive the continuous TCP/IP packet from external machine. You have to create a program file in the Program folder in the Workspace. In this example, 192.168.0.12 is the IP address of ROS PC. Make sure it is correct, or the controller cannot receive the packet. 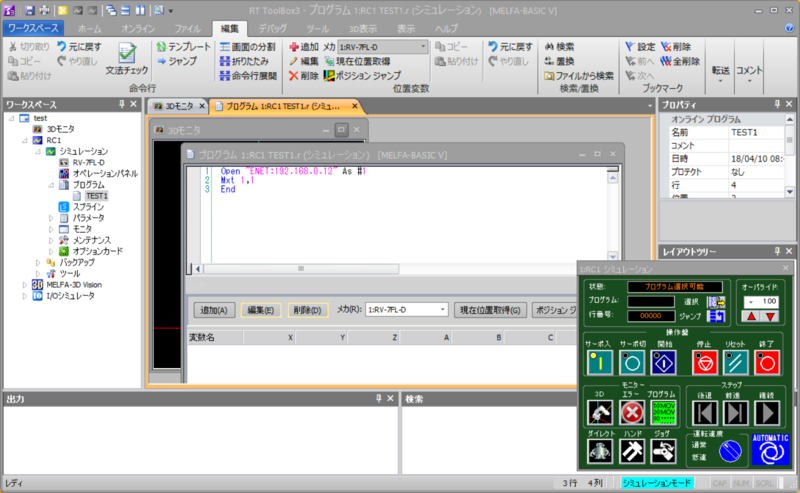 Push Simulation button under Home tab to switch into the simulation mode. You would see your robot model and the controller panel on the screen. Push the Select button on the right side of Program: to select the program file name which we formally created. Push the Run button on the controller panel. Now bring up the ROS controller node with the launch file. 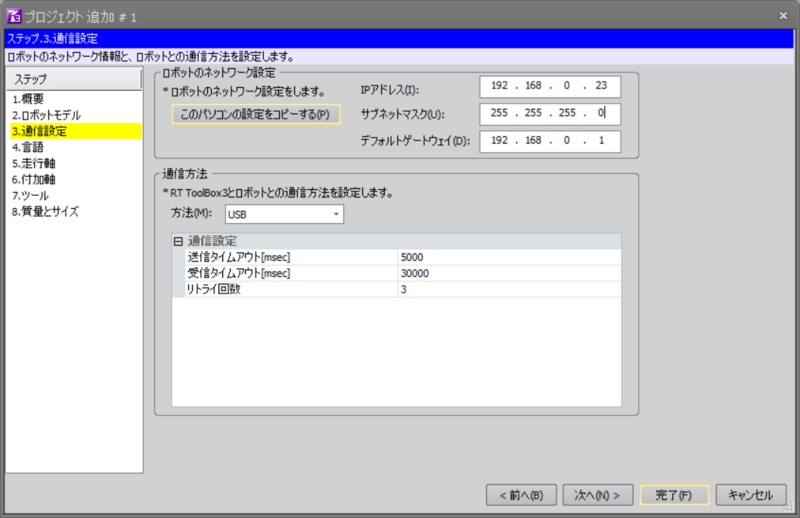 robot_ip parameter should be the address of the PC on which the simulator is running. 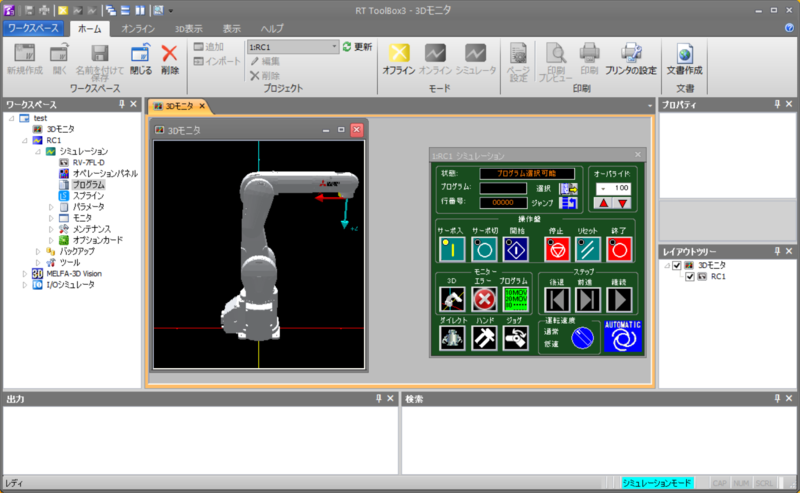 The actual robot should work as same as the simulator... but BE CAREFUL!! The robot will move out of your intention. It may collide with the environment or human beings. Please make sure you can do experiments safely with your robot. You have to place your ROS PC and the controller in the same network. You need the program for real time external control as same as in the simulator. 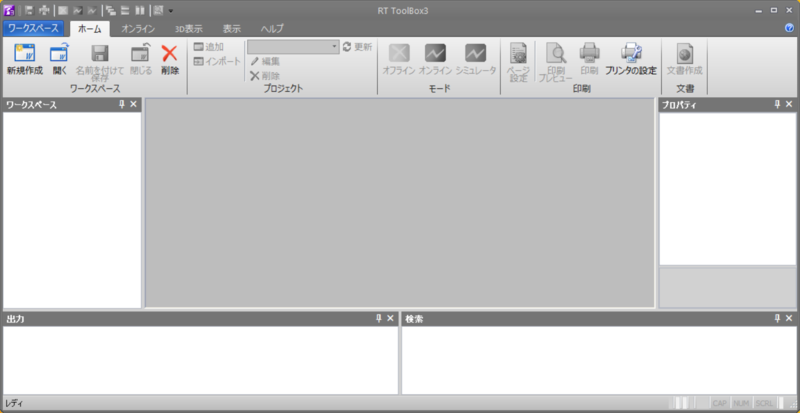 Create the following program with the pendant (or just transfer the file from RT Toolbox3). Ovrd 10 is limiting the joint velocity for safety. In this example, 192.168.0.12 is the IP address of ROS PC. Make sure it is correct, or the controller cannot receive the packet. Check the IP address of the controller to use it afterwards. Run the program with the pendant. It will be same as usual usage. Now bring up the ROS controller node with the launch file. robot_ip parameter should be the address of the robot controller. Once the system is brought up, the way to command the robot is same in the either way. 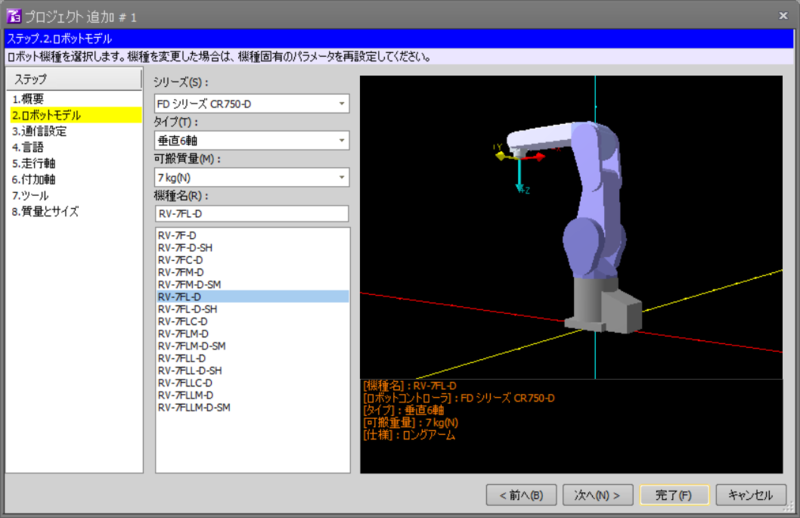 You can use rqt plug-in JointTrajctoryController to control the robot joint angle using slider GUI. You can try MoveIt! Rviz plug-in. 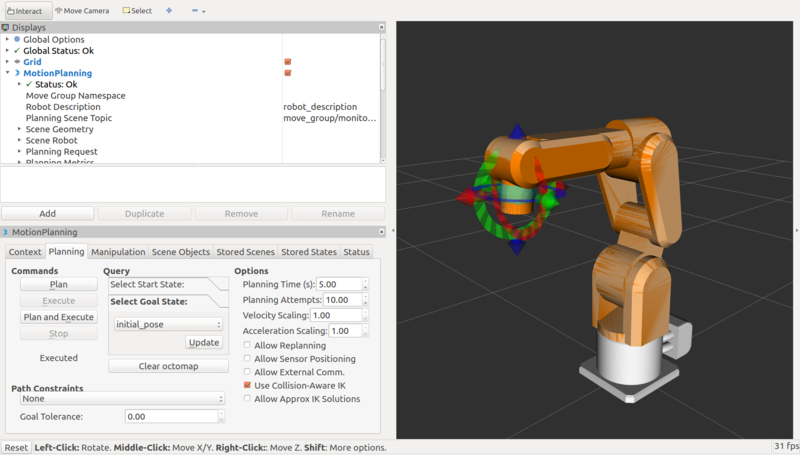 Currently there are moveit_config packages for the following robot. YOODS Inc. holds the copyright of all mesh files in melfa_description/mesh directory which are licensed under a Creative Commons Attribution-ShareAlike 4.0 International License. These MoveIt! configuration packages are licensed under BSD License, which are basically auto generated by MoveIt! setup assistant package. Other parts are licensed under Apache License 2.0.